Are you looking for a New York Traffic Ticket Defense Lawyer and want to determine who is the best attorney for you? You’ve come to the right place. 1. Is the attorney’s practice limited to or significantly dedicated to speeding ticket defense or traffic ticket defense? There are thousands of solo practitioners that claim to be proficient in 10 or more areas of law. While many of them can do a good job in certain practice areas, there is a good chance that they are not proficient in Vehicle Traffic Law or they may not be able to dedicate the time necessary to defend what they will call a “simple traffic” matter thereby hurting your defense. At our law firm, we recognize your “simple traffic” matter is not so simple. In so doing, we handle your case with the proper attention it deserves. We know many things are at stake including hundreds if not thousands of dollars in fines, penalties, insurance increases, and time lost. Not to mention, we also know what very few lawyers know—a conviction to a simple speeding ticket can carry a 15 or more days in jail. 2. Does the attorney have a track record? Although no attorney can attest that their prior success can guarantee a similar outcome in future cases, its important that you have some knowledge of their past performance. For example, is your ticket their first ticket defense case? Is the attorney you’re speaking to experienced in the court where you received the ticket? Are they familiar with the Judge, prosecutor, police officer, and court staff? At our law firm, we have represented thousands of individuals throughout New York State. We are pleased to discuss our more than 30 years of legal experience with any potential client. Read our ticket defense testimonials. 3. Has the attorney kept up to date with the changing landscape of the law? Have they participated in any relevant continuing legal education programs? Every area of law can change significantly and rather frequently. Every change in the law can have a significant impact on your case. At our firm, we stay on top of the law and complete a minimum of 12 hours of continuing legal education a year. We also lecture of on variety of topics to bar associations, professionals, and community groups. 4. Does the attorney have any peer recognition? In other words, do other lawyers in the field respect your lawyer? How do other attorneys, adversaries, clients, and judges perceive this lawyer? 5. Is the attorney accessible? Once you retain a lawyer, will they return your call or respond to your emails? Obviously, you will want to maintain contact with your lawyer. Some lawyers will only have their assistants speak to you. At our firm, it is our goal to respond to our clients within one hour of being contacted. About us: our attorneys have significant experience practicing traffic ticket defense law. We are lead by a former prosecutor and our experience spans over three decades. 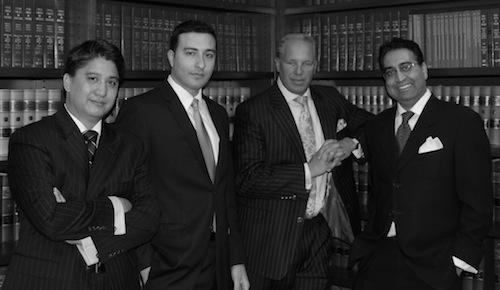 We have been recognized by our peers as some of the best lawyers in New York. Give us a call at 800-893-9645. How Do I Retain Your Firm?